Want to throw a groovy reunion party or an electric fresher day bash? We are a privately owned Event Management company located in Hyderabad, Andhra Pradesh. 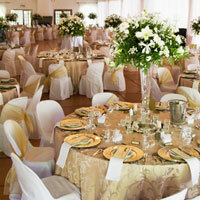 We are capable of making complete arrangements for the events within specified budget. We find venues, decorate the event halls, book accommodations for the special guests and also make culinary arrangements. We are experts in the event management domain and have tie-ups with reputed dance troops, hosts and entertainers to make your event a lively affair.